Among those names were Facebook, Twitter, Google, Amazon, Yahoo, and Ebay. 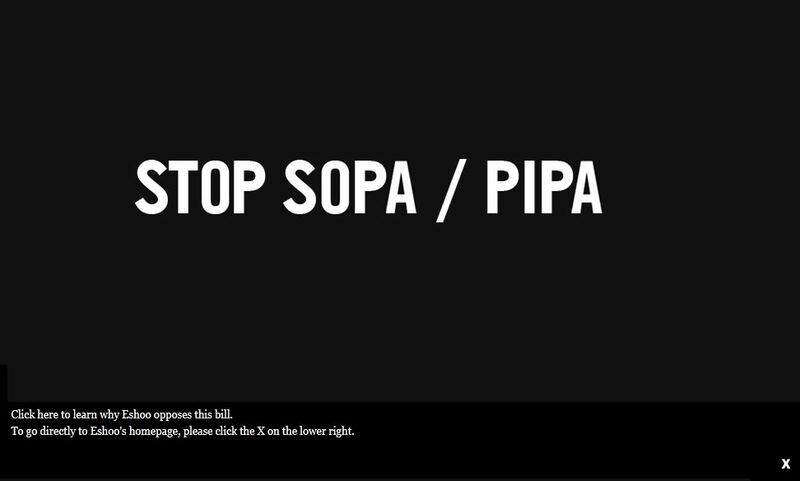 None of these have actually closed their sites for the day, but a few are voicing some protest on their site. Other big name websites, like WordPress, Reddit, and Wikipedia have stepped up to the plate. 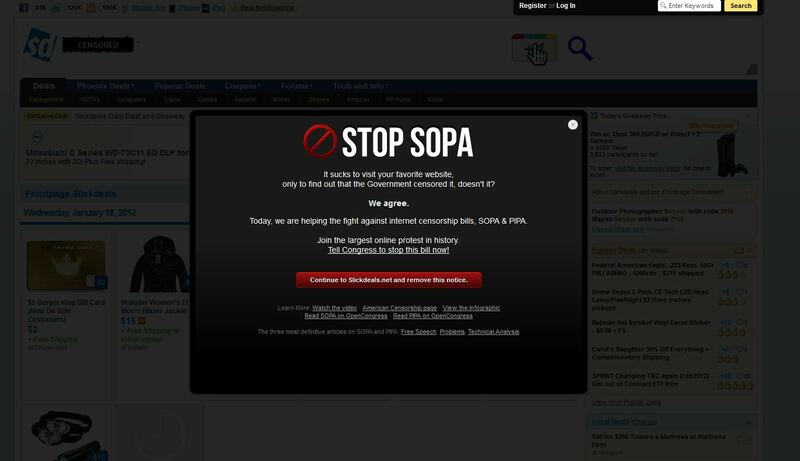 Here are screen shots of websites protesting the “Stop Online Piracy Act”. I actually found WordPress.com to have the more unique and creative protests. 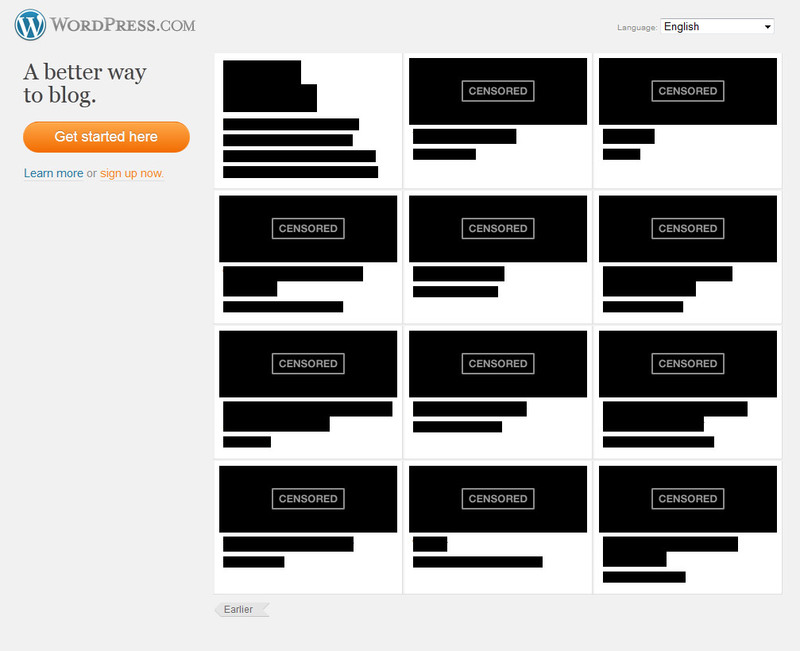 Imagine how many wordpress blogs could be in danger of SOPA regulations. In fact, this entire blog could be shut down for even using a screen shot of the wordpress homepage. 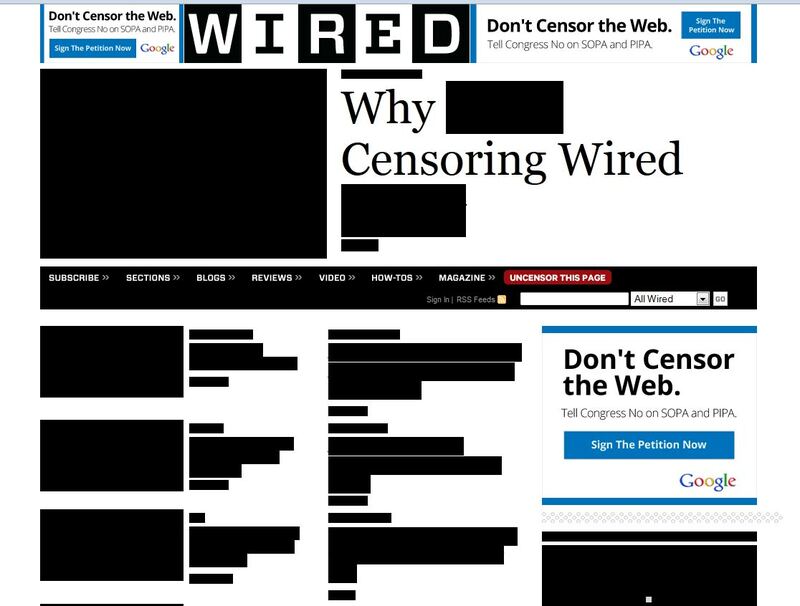 Clearly wordpress has not blacked out their entire site due to SOPA, as this is a wordpress.com blog, and I am personally grateful they did not. 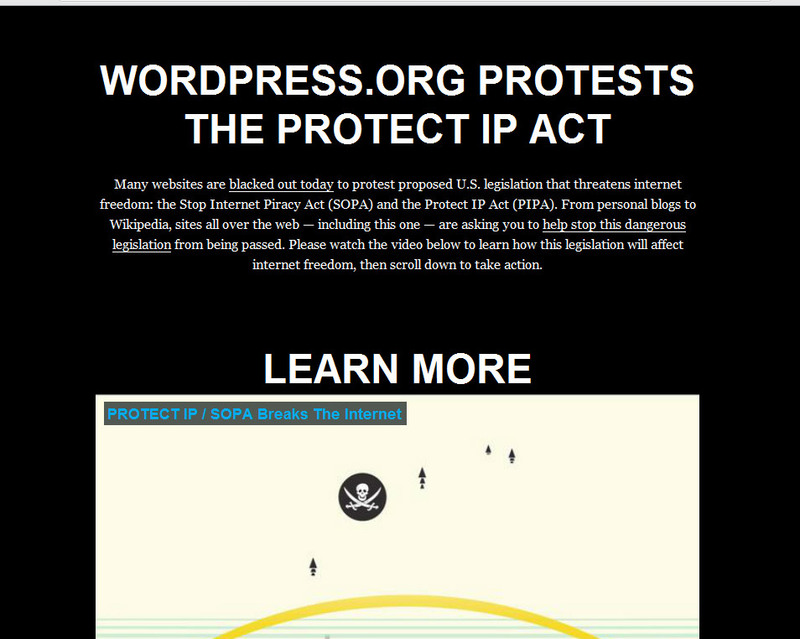 WordPress.org also strikes in opposition of SOPA. Although at the bottom of the page you can find a link back to the old wordpress.org page. So look again and you will see a small box in the top right hand corner labeled “Reasons to oppose or modify SOPA.” Amazon is walking a fine line here as many authors may have reasons to support SOPA. 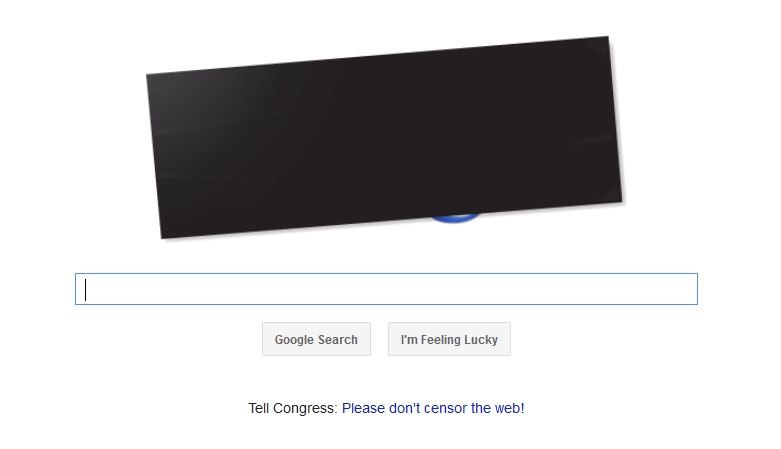 Surprisingly YouTube shows nothing in opposition of SOPA. 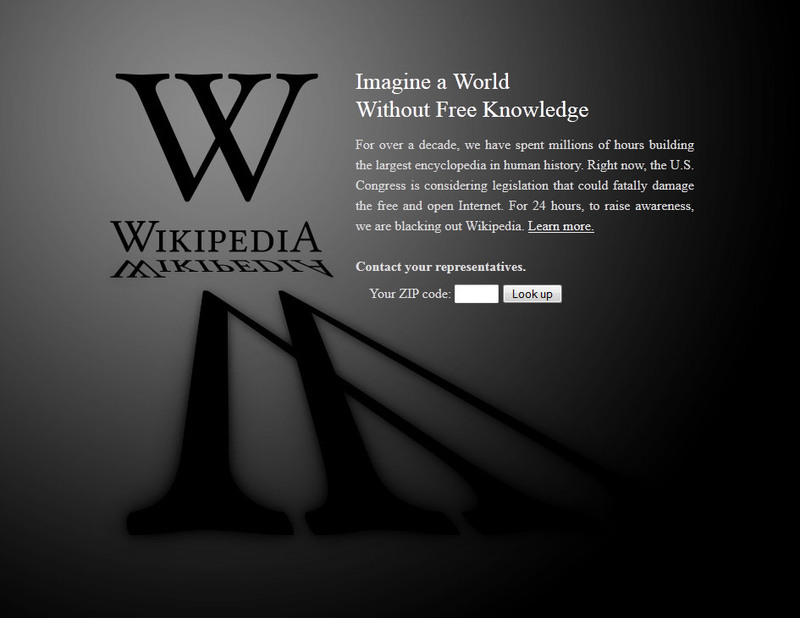 Very compelling message by Wikipedia, a site built upon FREE information. They also implement a great call to action to help push phone calls to “your representatives.” Their goal is to melt Washington D.C. phone lines. Worthy attempt. Although wikipedia did not have a complete blackout, and they are employing a rather sneaky redirect. Although I assume that Google will most likely ignore this black hat tactic. You will notice that the above page loads first then the redirect loads on top of that page. My guess is that Wikipedia understands the damage that could occur to their SEO should they show the search engines a bunch of duplicate content and/or pages down. And if you really need Wikipedia to do your homework then try http://simple.wikipedia.org. Mozilla’s blog mentions the protest but their blog and all other internal pages are still live. This includes all of Reddit’s internal pages. 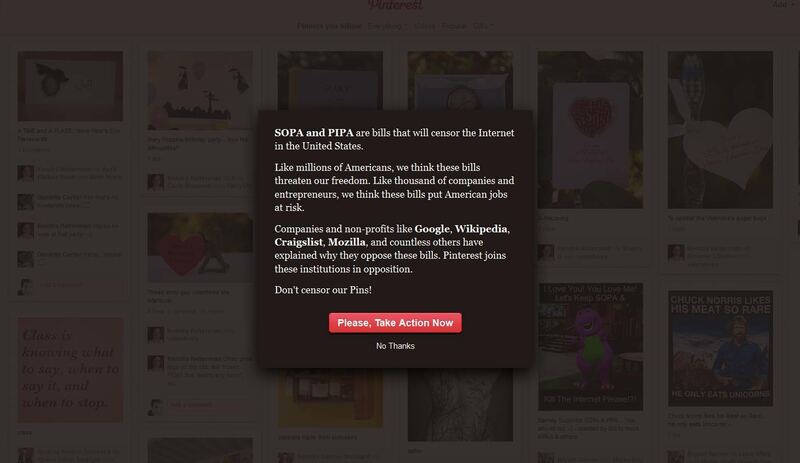 Pinterest.com, upon login gives the following message and screen shot in protest. Slickdeals.net adds a notice on their homepage. Anna Eshoo represents California’s 14th Congressional District–the heart of Silicon Valley. She is Ranking Member of the Communications and Technology Subcommittee. Craigslist.org is also adding a protest to their local directories, but with a link to click on through. 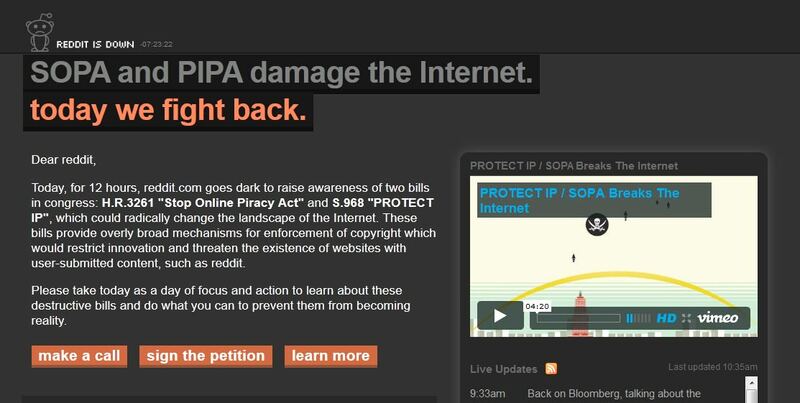 Slashdot.org marks through their logo and posts two articles at the top of their page explaining SOPA. 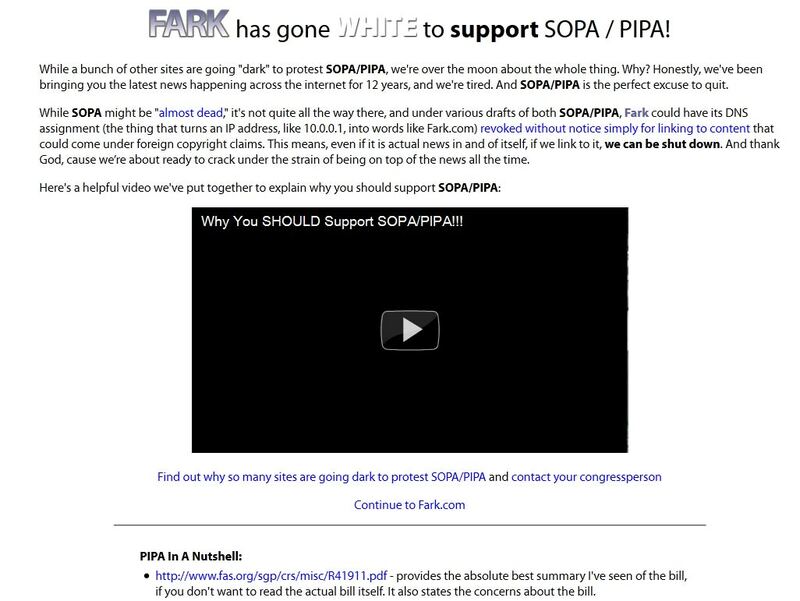 Watch Why You should Support SOPA Video. Farks deeper pages are all still active. And instead of a blackout they went with a white-out. 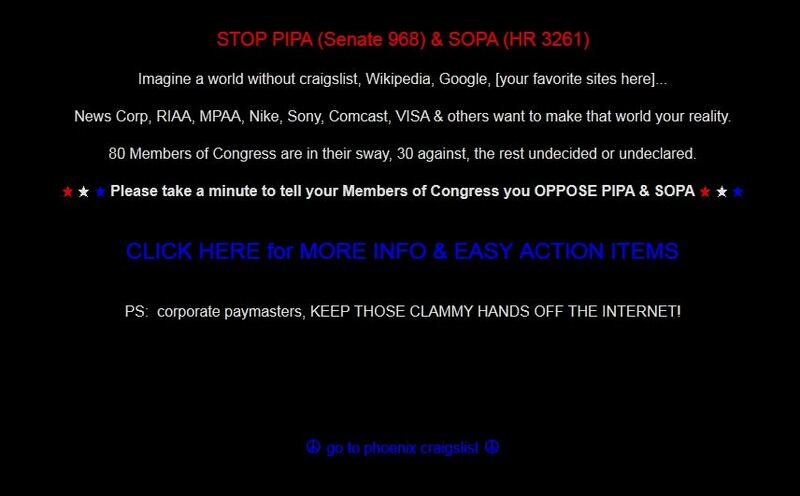 Facebook, Twitter, Yahoo, and Ebay have nothing on their homepages in opposition of SOPA. Bing announced it’s protest, but nothing on Bing shows them as protesting. And while Godaddy was once listed as a supporter, they have nothing on their website going either way. Perhaps it’s because the bill is nearly dead at this time, but with the exception of Wikipedia and Reddit, I feel that the protesting websites have failed to actually “BLACK OUT”, and their protests are weak. As a business, I can understand the actual costs involved in shutting down for a day. Google would loose millions if it closed it’s doors for one day. Wikipedia has the luxury of being a Non-Profit, so no money will be lost. As for Godaddy, they are smart for staying out of the political heat. Feel free to add any additional sites in protest to the comments below. And that is a day in online protest, from your local pest control guy, at Bulwark Exterminating. Google+ has a new Favicon… in case you care about the details. That’s it. Kinda cool. I like the orange. I once heard that orange is a very strong color and that it is the most under used color for logos… of course that was about 8 years ago. And since that secret is now out there it’s probably been increasing in use thus decreasing in efficacy. And to add to that, the book “Google+ for Dummies” is already available! That is some serious speed publishing by Jesse Stay. I mean WOW. I thought it took 6 months to get a book ready to publish, but I guess when you are writing for dummies you can cut that time down a bit. Kidding. Jesse Stay has some great insight to social media, and I am sure that even the smarty pants out there could learn a tick to two reading his book. Google as a whole is moving so incredibly fast and so far up the revenue ladder that its intimidating. I am impressed by what google has accomplished and their record breaking growth. But as a business owner and customer, I am saddened by the lack of concern and attention I am given. I feel like an ant on Google’s boot along for a great ride, but if I draw google’s attention then I am going to get flicked off or worse, squashed and rolled into a ball. As much as I hate that google doesn’t seem to care about me as a local pest control business who buys from them, I really feel that riding on the bottom of their boot will still move me further faster. For a limited time, Yellowbook will set up a new AdWords account just for you and build your online advertising campaigns at no charge. * And even better, you get a $100 Google AdWords credit to get started. 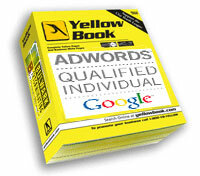 This is a great opportunity for you to have Yellowbook professionally manage your AdWords campaigns…. 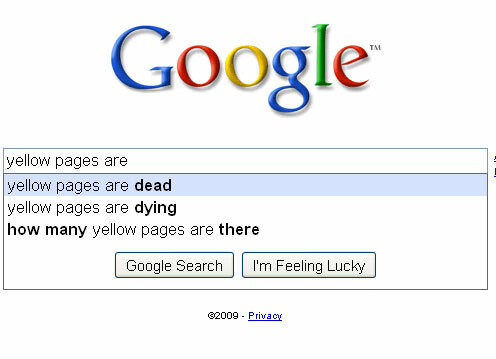 Did Google team up with a Yellow Page directory? Per a rep from yellowbook, these emails were only going to people that had adwords programs and that had stopped. If these people picked up a 3rd party and began a new and different account then yes, they could be receiving a solicitation from Google endorsing YellowBook as an Adwords Partner. This is indeed a rare occasion that Google would actually email out and name a 3rd party partner. This also means that other adwords certified companies could have clients receiving this email from Google. And this potentially means that these other 3rd parties will loose clients to Yellowbook because of Google’s mention of YellowBook and seeming endorsement. I imagine that Google’s position will be the same as when the in-house Adwords team solicited me, “I am sorry we can’t do business with you if you are an existing adwords advertiser with one of our partners.” But disenfranchised adwords clients may simply say, “I no longer do business with that 3rd party”, as they cut ties and move to the endorsed party. Further, the reps from YellowBook.com will have every monetary incentive to take clients even if policy states that they should not. What Happened to Google’s Internal Adwords Team? It is interesting to note that Google has revamped their internal adwords out reach team. Apparently that team has been dismantled. The rep from yellowbook seems to believe that Google is now trusting Yellow Book to be “their feet on the ground.” YellowBook is also offering SEO services. They guarantee a first page placement and then maintenance there after. Part of that strategy includes pages such as this: http://www.san-antonio-pest-control.net/ This Yellow Page Company wants to provide every marketing service a small business could desire, from phonebook to mailers. My advice to internet marketers, keep your customers happy. Know how to communicate with them. Stay current with them and keep working for them. If you stop performing and reporting then you will loose clients to Google’s email. Because, yes, the field of internet marketing is getting tighter. The “Write a Review” button is a new feature. They have had something similar in the past, but with the advent of Hot Pot this call to action was not so clear over the past few months. In fact the second item marked A was the only call to action for a review with the previous Hot Pot facelift. It was by far one of the most discouraging updates from a user standpoint. Trust me, being someone that works with promoting online reviews, the previous click the stars to review idea was a complete nightmare. Users could not figure out how to add reviews. The new button is very, VERY, clear. Good job google on the new “Write a Review” Button. Very Clear instructions Google. Kudos. 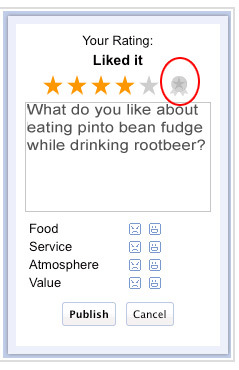 It is also complemented by a clear “Sign in to rate” button when not signed it. When signed in it mirrors the “Write a review” button. The upload photos button is another great addition to Google Places. The search engines value user created content. This button and these photos, in my opinion, will add another trust signal to a location. In fact, there are examples of locations ranking very well despite the outside the metro city limits disadvantages due to geo tagged photos associated with that location. 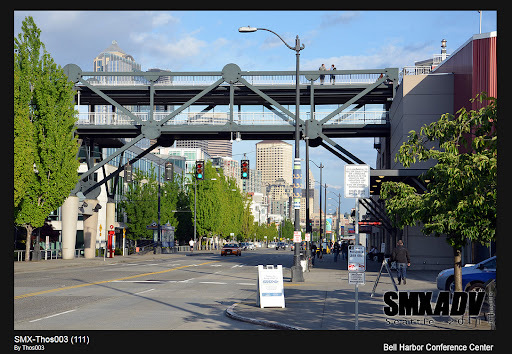 You can find my uploaded photo of the Seattle Conference Center (Map Rank E as of this post). The photos are reviewed prior to approval and appearing on the places page. Hopefully this eliminates abuse and spam of photos. Yes, photo spam in google places will be attempted. 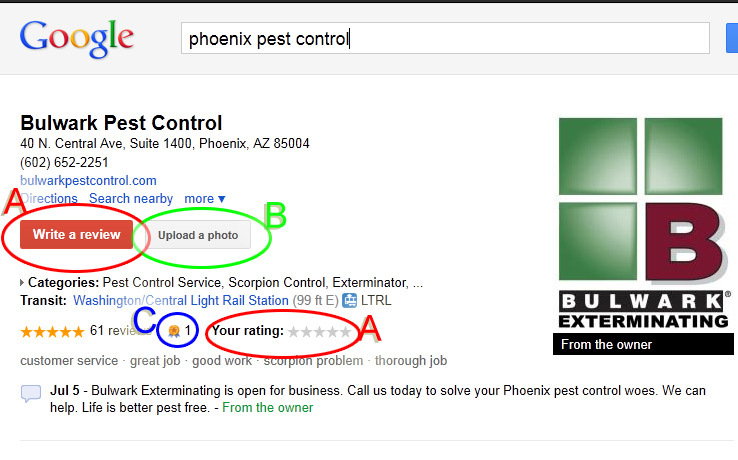 Screen Shot from Search: "Phoenix Bug Control Bulwark"
Photos are showing up in search. This just adds to all reasons that you want to claim your place page on Google, so the owners images can show up here. The Best Ever badge. While this isn’t entirely new I thought I would take a second to catch up on this feature. The Best Ever badge shows at that top of the places page as marked C in the first image. The badge at the top tallies up the total number of best ever badge. It also shows in the review section as in the image above. While this isn’t a game changer it does give a nice additional shout out from users. 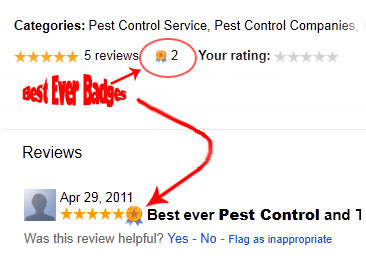 For those that willy-nilly hand out 5 star reviews, perhaps this badge might be saved for the Best Ever. In fact, we should all make an oath to only ever assign 1 best ever per category. If you promise, then add a comment now with your pledge. If you make that promise then you can read on…. Hot Pot. It is an option in Hot Pot. to add a Best Ever Badge. It would actually be nice to be able to sort by Best Ever Badges, but Google places reps have told me that the sort by reviews was removed due to review spam. So I imagine that searching for services with best ever badges will not be an included feature. In the mean time, it does add a little flare to the google places section. This is a cross over from Google’s Hot Pot as well. As you can see in Google’s Hot Pot, there is a dislike like section. For a the restaurant this includes Food, Service, Atmosphere, Value. 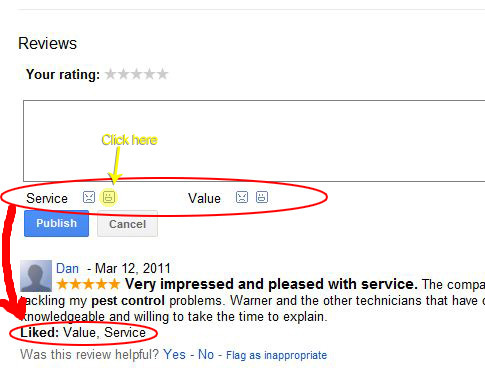 Google has added similar ratings to its Google Places reviews. So now you can like or dislike the Service. Users can like or dislike the Value. If you choose to select the smile next to Service or the smile next to Value a bolded “Liked Service” or a bolded “Liked Value” will appear at the end of your review. If you choose to select the frown next to Service or the frown next to Value a bolded “Disliked Service” or a bolded “Disliked Value” will appear at the end of your review. Click Smiley face, get liked section. Overall, this is a good move toward improving Google Places reviews. Once a user is trained to look for the Liked/Disliked section, they can see at a glance if the value and service of a company was liked or disliked. More importantly, a Google Places user may see a pattern that is not so obvious through the traditional star rating system; perhaps a company provides great service but the value of the service is questionable due to the cost. Plus you may think a service or restaurant deserves a 5 star review while still disliking something about the company. In the image above the review for the restaurant was 5 stars, but the reviewer disliked; “Value”. With two easy clicks of the mouse, a reviewer can qualify his or her review and make it much more useful for the end user. One con with the new Liked/Disliked button is that it is not easily seen. A suggestion might be to change the color of the text or to add a graphic depiction of their choices. In my opinion, it is important to differentiate the Liked/Disliked section from the text of the review. But they aren’t calling me for Phoenix bug control. – Yes, just giving a shout out to the new Favicon in google places. I like it. That’s all. It’s really nice that Google will tell what you want to know. Screenshot from within Google Boost today. Pretty funny. Just another small bug they are dealing with in the recent updates to local. Beyond the shock of pending ads and Google’s candid answer about Google Boost, local search is taking another leap forward. … I wish I could take credit for the recent jump, but alas I cannot. I can only take satisfaction in it. Yes, Jon Henshaw brought a phone for his mic, and ear. Actually not a bad idea if you want to hang out at work and look like your are still busy. 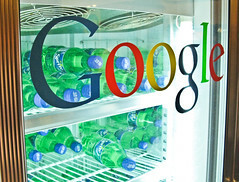 Google+ hangout is probably the biggest advantage Google has over the competitors right now. The problem is that grandma from facebook may visit Google+ for a family video chat, but grandma doesn’t want to start over with a new platform. Facebook has the party, as much as they may be hated for user privacy. Yes, Facebook even made the top 19 most hated companies list by Rueters. So no one wants to pick up and leave. Any online community manager will tell you that “USERS HATE CHANGE.” Google+ is novel right now but will it fade? What Google has failed to do is establish a core group of users. Pick a niche, develop a community, and build from there.